Fun for the night, Memories for a Lifetime. 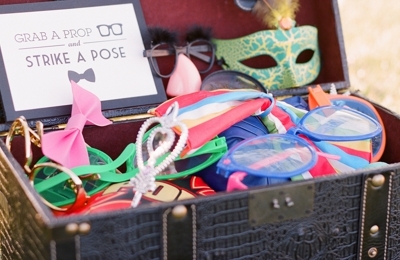 Party Portraits Photo Booth in Baton Rouge has closed and open-air photo booths available for birthday parties, weddings, school parties, corporate events, and more! Amazing! Party Portraits photo booth was SO great in every way! Their package was all included so I didn't have to think about what to pick, and it included EVERYTHING I wanted anyways! I got to design a custom photo strip that matched my wedding website logo. They were there on time and every let us use a custom background that we had made for something else at the wedding. The attendant was super fun and nice, and he made a beautiful guestbook for us during the wedding! The photos look super funny and cute, and were delivered digitally to us almost immediately afterwards. And we got extra hard copies of all of them too! What more can I say?! Oh, and it was SUPER affordable too! Could not have picked a better photo booth company! I hired Party Portraits Photo Booth for my wedding a month ago and these guys didn't let me down :) They were friendly, professional, and always on top of it. JAmes and his team made sure that everything was the way I wanted. I brought in my own backdrop and even though it was a bit short, they made it work. James helped me with our layout and design. Our photos came out with great quality and there wasn't a glitch with our photobooth at all. Our photo butlers were super nice and did a great job helping out my intoxicated guests! I wish them all the best. You won't be disappointed if you book Party Portraits! I highly recommend having the Party Portraits Photo Booth at your wedding. Guests will love it and it's great to have the book full of photos when the event is over. I've heard from many of my friends, and I agree, that the Party Portraits Photo Booth is better than all the others - it's easy to use, the staff is helpful and friendly and your event will be more fun with it! I booked Party Portraits Photo Booth for our wedding through a Groupon special. I called first to inquire about availability, and received quick, friendly responses. They were also super easy-going and not pushing about me reserving services with them. I felt very comfortable. A few weeks before the event, I wanted to add props and discuss some changes in timing. Via email, everything was taken care of and my options were explained very clearly. They even added some nerdy calculator and notebook props that I had asked for, if they had them (no pressure if they didn't!). I was able to book some idle time while guests were having dinner, for a lower hourly rate, so that the photobooth could be open during "prime" times of the event. Fabulous! What a fun memory to have. Our attendant was the utmost professional and she was so friendly and fun. We would highly recommend this to other brides!! Everyone LOVED the Photo Booth! It was such a great thing to have on our day to offer our guests another little gift - captured memories that would last forever! They were on time, ready to go, and provided a ton of fun for everyone! Amazing work! I couldn't have asked for anything better. The attendant was very professional and created a beautiful photo album/guest book for us. He was flexible and discreet. I would absolutely use this service again. All of our guests were so impressed with the quick production of photos and it never created a back up for printing time. All of our guests thought the photobooth was great! It was the perfect size to fit just one person or a whole group of people. We also got the guest book and it is great quality I know will last forever. I loved the quality of the pictures and props. Very professional setup. I see photo booths at weddings and events all the time, and this is by far the best. Prices are very reasonable! My sister booked them for my wedding and they were on time and did great! It was hit! They also communicated very well to all my concerns and questions and called me a week before to confirm! I forgot the name of the guy who set up the photo booth but he was great and so nice! We will definitely be using them Again! !